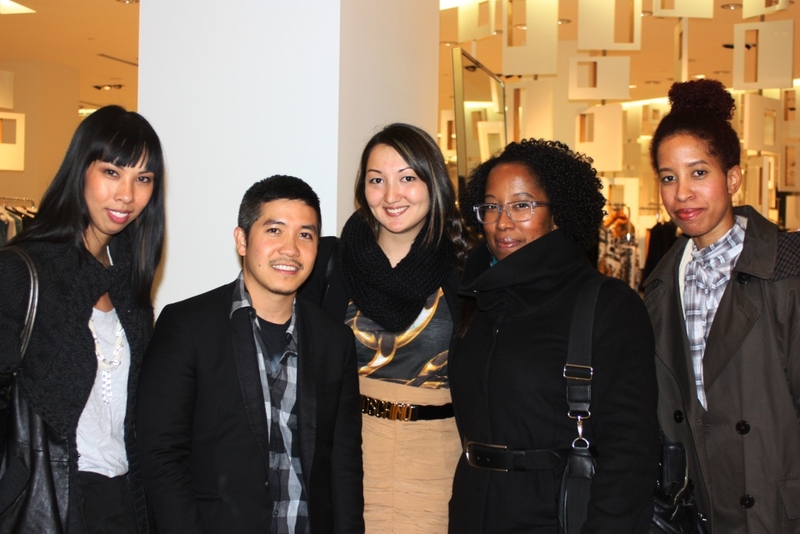 Last month, The Bay held an intimate cocktail reception to welcome New York designer Thakoon Panichgul to Toronto for the very first time. And after previewing his Spring 2011 collection, it is quite apparent why Thakoon is adored by such famous women as Anna Wintour, Michelle Obama, Demi Moore, and Sarah Jessica Parker, among others. His clothes are feminine and romantic, without being too girlie, his use of decorative detailing is innovative, but not overdone – Thakoon makes beautiful modern clothes for modern women. There were lovely gowns in gorgeous blues, snakeskin patterns, hits of yellow, grey and rose, leather bangles, velvet, knits, and silks…oh, my! I’ll take it all, please and thank you! Ok, but in all seriousness, the chunky-knit cardigan (below) is definitely something I would wear all-through the winter, spring, fall, and even chilly summer evenings – my favorite piece from the collection, hands down! Another highlight of the night was actually meeting Thakoon in person. The designer was charming and down-to-earth; he shared his insights on social media, Toronto, and the kind of woman he designs for. His charisma definitely shines through his clothes – Thakoon is a man that understands women, and makes clothes that make women look and feel amazing. 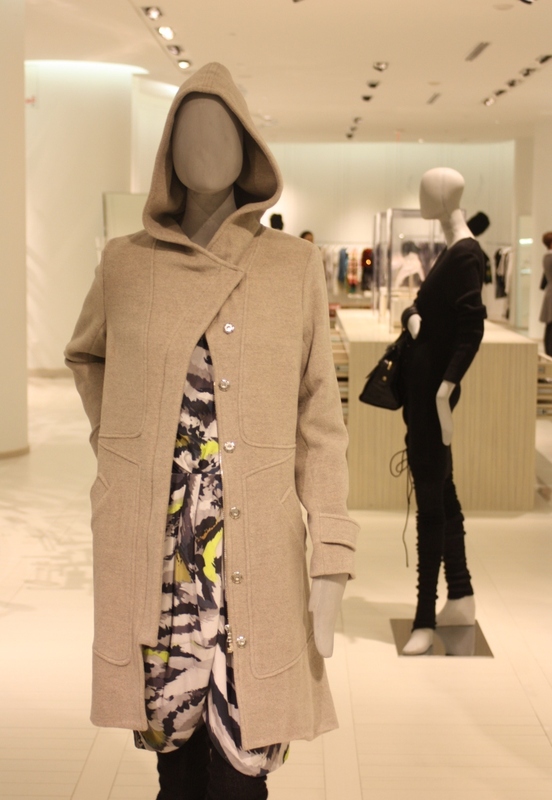 Thakoon is available at The Room at The Bay, and if you still haven’t seen the collection, you must check it out! Oh, and if you’re picking up an early Christmas gift for me, that yellow/grey cardigan has my name on it! This has definitely been a year of The Bay! 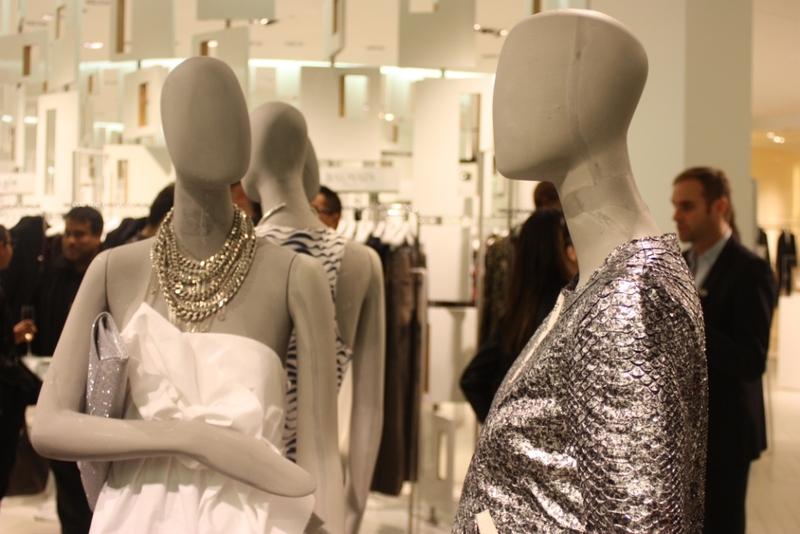 From SJP for Halston, to the British Invasion party, designers simply cannot stay away from the venerable Canadian store institution. 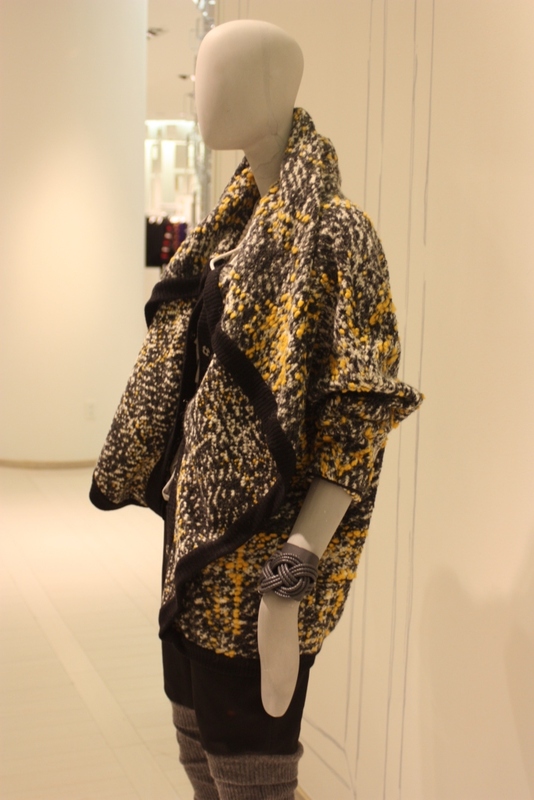 And this time, the latest feted designer at The Room is Thakoon! If you are a fan of this designer’s feminine aesthetic, and are dying to see his Spring 2011 collection in person, now is your chance! 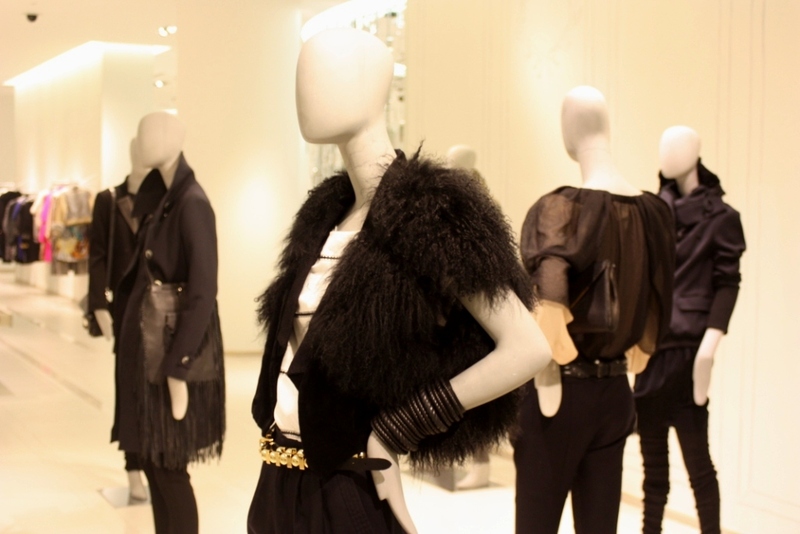 Thakoon trunk show will take place at The Room on Queen St. West tomorrow, Tuesday, November 2nd from 12pm until 2pm. See you there!